LADY ANTEBELLUM - "Somebody Else's Heart"
Somebody Else's Heart by Lady Antebellum is a country song from the album Heart Break. The track reached the Billboard Top Country Songs chart. 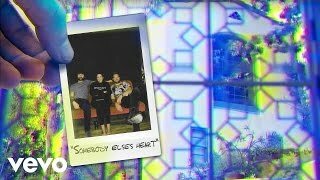 The official music video for Somebody Else's Heart premiered on YouTube at the end of May 2017. Listen to Lady Antebellum's song above. Lady Antebellum's Somebody Else's Heart lyrics were written by Dave Haywood, Charles Kelley, Hillary Scott, Busbee and Shane McAnally.